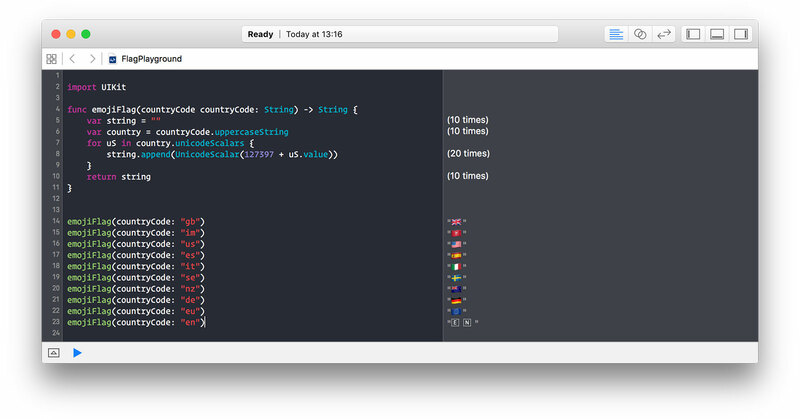 I’m working on a personal project currently that works heavily with country codes and the selection of countries. To make it look better, I wanted to use a flag icon for each country in the list. In the past, this would have been done with a load of imported images named something like “gb.png” but luckily there is a modern solution; emoji! If you use an incorrect code such as “en”2 then you’ll be given back the letters within boxes. You can download my example playground from GitHub.